(Nantucket, Massachusetts) - Nantucket, a place of charm and beauty, is located thirty miles from the mainland of Massachusetts on an island in the Atlantic Ocean. The island hosts many vacationers throughout the year offering them an abundance of activities from enjoying a day at the beach to shopping in Nantucket Town. The tourists are also accommodated by a wide range of resorts and bed & breakfast inns. To the nomadic visitors, the touristy sites and hotels are all they need, but the island is home to 9,300 residents. To accommodate the locals, the island functions as any normal city or town would by offering the standard amenities and schools. The school district on the island caters to the Nantucket community throughout the year. 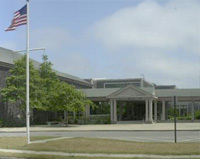 The Nantucket School District includes an elementary, middle school, and high school, as well as a Community School. The Community School offers year-around education programs for both children and adults with activities such as parenting classes, workplace skills, children exercise programs, and playgrounds. The district uses KMC products to operate its boiler and air handling units. There are also unit ventilators in classrooms and with future installations there will be individual controls in each classroom. All of the labs that are located in the district are completely controlled with KMC controllers. For the ease of controlling the various buildings, they have installed WinControl XL on the network LAN. This allows the building technicians total control of the functions in the separate buildings by a computer in their own office.